WEDNESDAY, Oct. 3, 2018 (American Heart Association) — Doctors are not doing nearly enough to help peripheral artery disease patients quit smoking, a key risk factor for the disease, a new study shows. “Smoking is the single most important modifiable risk factor for peripheral artery disease. It is associated with faster progression of the disease, greater risk of complications such as limb amputations, heart attacks and death, and also poor response to treatment,” said the study’s lead author, Dr. Krishna Patel, a cardiology fellow at the University of Missouri-Kansas City and Saint Luke’s Mid America Heart Institute. “Smoking cessation is the cornerstone for managing patients with PAD. It could halt the disease progression and improve and reverse some of these risks,” she said. Patel said one-third of smokers in the study who tried to quit relapsed within a year. 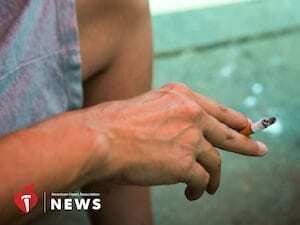 “Doctors taking care of these patients need to be aware of this and should treat smoking as any other chronic addiction problem and provide consistent, repeated and continuous smoking cessation support,” she said. “This is a unique, well-conducted study that provides a clear message to providers that we’re not doing enough about this issue,” said Pradhan, who was not involved in the research. She said she’d like to see studies on the best ways to get cardiologists to include smoking cessation in PAD treatment, especially because more and more health insurance plans now cover smoking cessation. “Smoking cessation is an intervention that can prevent progression of this disease. We really need to get on board,” she said.